The historic Miller Building at SUNY Cortland houses the University’s President and key staff. Miller has a south loading dock that required a retaining wall to accommodate grading. 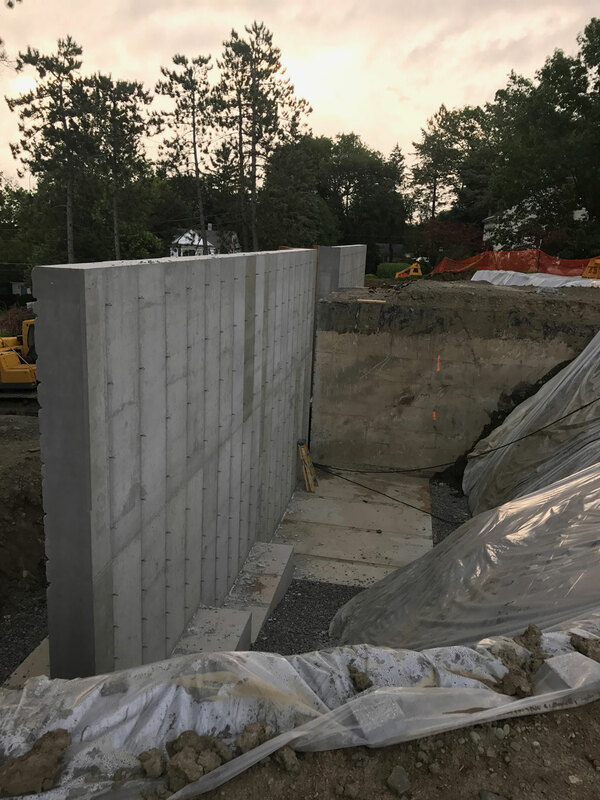 The existing retaining wall was failing and required complete reconstuction. 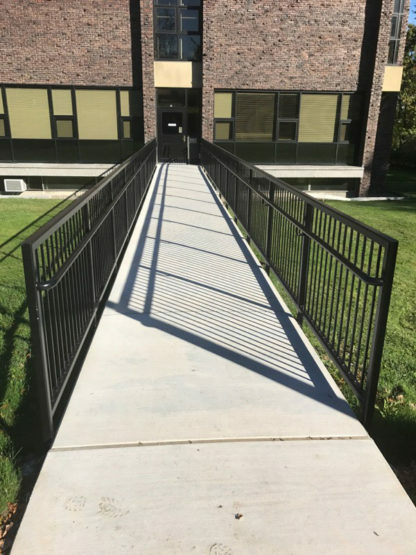 The building, which is elevated from grade, required accessible ramps for the entrances, constructed from cast-in-place concrete. 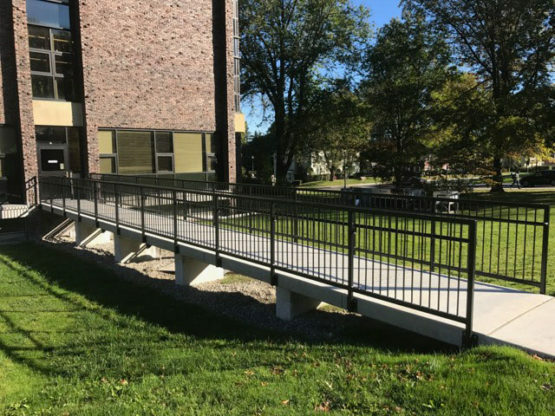 The ramps were at the end of their lifespan as a result of heavy winter salting. Upstate Companies demolished and reconstructed these ramps using the existing foundations and changed the design of the handrail mounting to ensure longevity and minimal effects from harsh winter conditions. 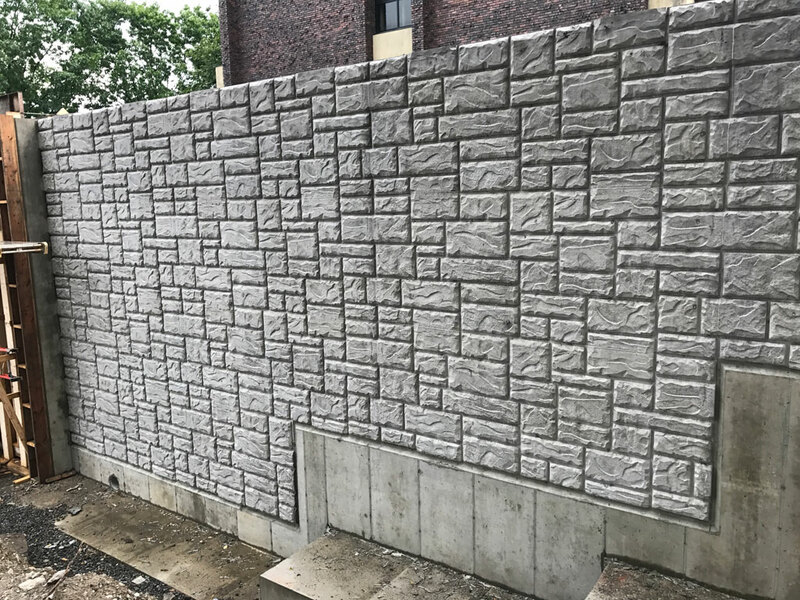 This project schedule was restricted to the off-season, when students were on break. This tight schedule required rigorous pre-planning. 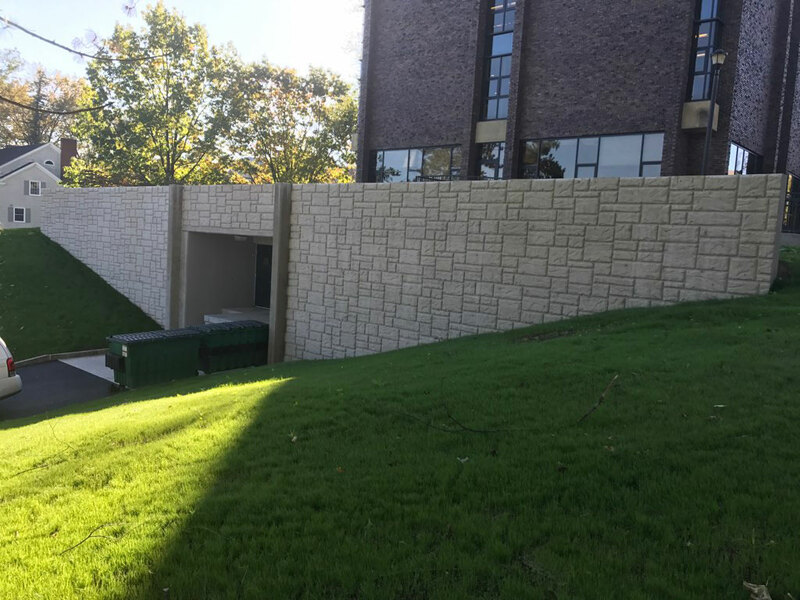 Facilities chose to use a form liner in this 16″ thick retaining wall, as it is a focal-point when entering one of the primary campus entrances. 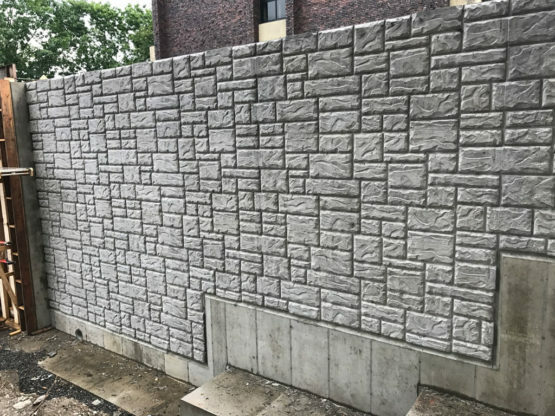 The completed retaining wall stands 19′ high and is 100′ long.